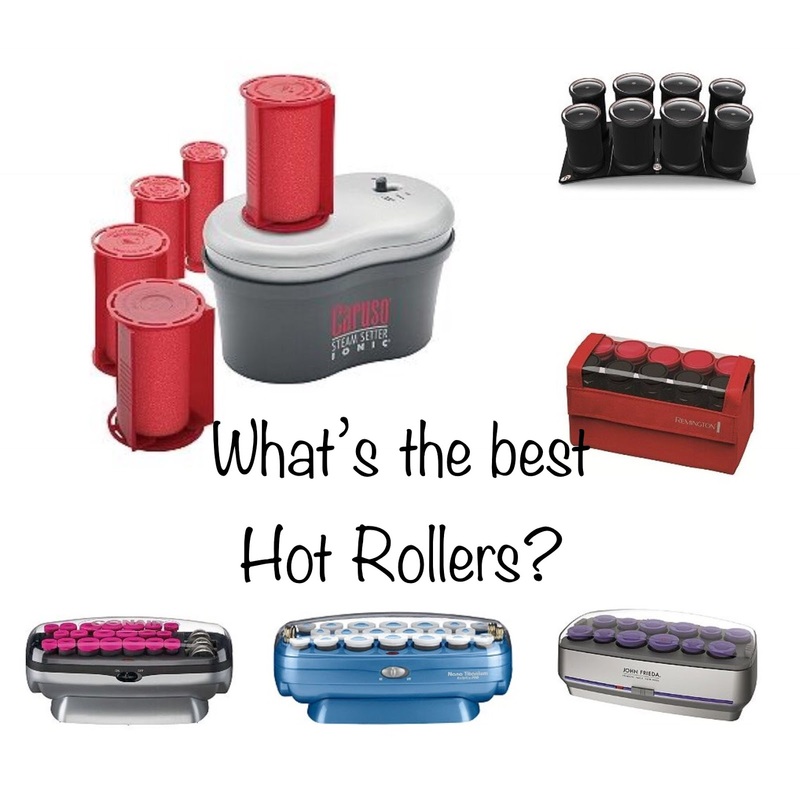 House of Jen: Whats the best Hot Rollers? I've always been a fan of hot rollers, mainly because they are a gentler way curl your hair, as well as for those who are not great at curing their hair with an iron, this is a faster method. Before I mastered a curling iron, these were my high school go to. I've owned a few sets of hot rollers over the years, and when my last set died about 5 or so years ago, I never replaced them. Since my hair as been quite light recently, I wanted a gentler way to curl. So I went on a mission...thank goodness Ulta has such an awesome return policy that I was able to test out 6 different sets and return with no hassle. So I started with a splurge with the T3. I wanted to love these, like really bad. 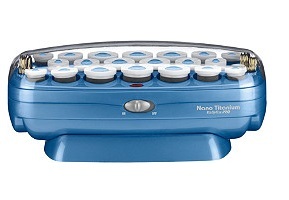 Because I wanted a T3 iron, so badly (and since have broke down and got, yes its work the price, more later) as well as I really liked the big comb clips, it was compact and there were only 8 rollers. I was able to get all of my hair into the 8 rollers. Now these are big rollers, 1.75 inches and 1.50 inches. I waited about 20 to 25 minutes and took them down, volume - yes, curl - not so much... It was similar to the look of a blow out, which is not a bad thing, just not what I was looking for. And at $120 I was not looking to keep something I didn't love. So sadly the beautiful black and rose gold went back. Now I should say, you can buy a 2 pack of smaller rollers, as small as .75 inches. But two things, first there $20 bucks a set, and there are only 8 spots to plug in a roller on the base, so you'd have to do 2 round of heating - again no the end of the world, but you could very quickly get $200 into hot rollers. So then I tried the John Frieda, mostly because of the sizes, they had less rollers than most of the sets and bigger sizes. Priced at $59.99 (then 20% not too bad) I really had high hopes for these. They also had two heat settings, so I was hoping they'd get pretty hot to hold well. I also liked the big clips, similar to the T3. I got all of my hair into the rollers with our much of an issue. Waited the 20-25 minutes while again I did make up and took them out. They looked just okay, as soon as I took them out, not exactly what I was looking for, some of the curls in the back were hardly curled at all. My biggest issue was that they did not last. I think by the time I finished getting ready and out the door most of the curl had fell, and my hair holds curl well. So I knew these were not going to work... back they went. I went to the BaByliss set. These are the second most expensive, after T3, at $64.95. BaByliss has always been know as a salon quality brand, so I thought, I bet these are the ones. (...again) These had some good pros, first they had more of a "traditional" size of rollers in the 3 sizes, which I have really found even if you want big curls, you still need to use the small rollers along the back of your neck. I did not get them right after the T3 because I though they only had the old school pin clips that you see in the picture and I really liked the big comb clips from the T3 and John Frieda, so I was very happily surprised when I opened the box they had both types of clips, so that was positive. Now, I'm really excited, these are it! I put them in, great sizes, waited the 20-25 minutes and then took them out, curl was pretty good. Lasted about half the day, then started to fall quite a bit. I did not return these right away as I though, let me just try a few more to see if I can find something I love. So my third trip to Ulta... I got 3 sets. 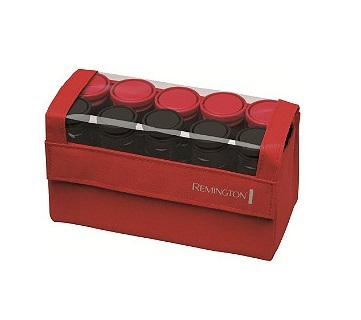 I start with the travel Remington Kit at $15.99 (plus the 20% off) so they were just over 10 bucks, amazing price. They actually worked pretty well, just had the old school pins to hold the rollers but they fit in the bag. Curls were decent, and lasted pretty well. I ended up keeping these as they are great to throw into a suitcase and not have to worry. They do have two different sizes, if you wanted a curl, I'd say you'd need to do one side and then reheat and do the other. My though was if I travel and did not bring my own blow dryer that I could put these in to give my hair a little help from the horrible hotel blow dryers. Next was Conair, now Conair had a few different sets at Ulta, but I liked the sizes of these, as well as I was very fascinated by the clips. They are solid plastic, but you can heat 3 clips at a time, so the curl is heated from the inside and the outside. And at $36.99 I thought they were a good price point. These were definably a solid set of hot rollers. The clips were a hard plastic, so they did heat, but you need to be carful how to clip in the rollers in the top and front as its easy to get lines. It took a few times before I was able to figure out that the clip needed to be pointed in the back to avoid a line. I did not end of keeping these, but my mom liked them (she has shorter hair) so she ended up keeping this set. Also I should add the curl did last most of the day, but was definably not a two day curl. 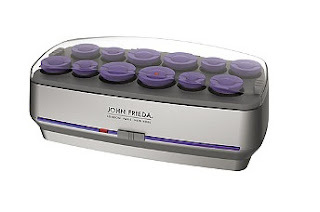 The last set I bought was the Caruso Steam Setters, I could not with out watching a video figure out exactly how they worked, and you have to heat each roller at a time, which seemed like a big waste of time. But they had the best reviews on Amazon, Ulta, and Sally's so I wanted to give them a try. 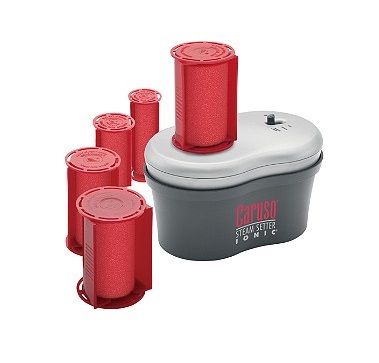 They were $49.99 (then the 20% off) so priced well, and they come in 5 sizes, and you get 30 rollers. 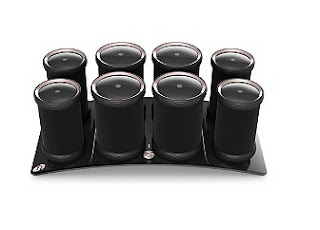 I also saw on Amazon you can get just the rollers, a set of 6, for about $11 - $12. So my first question is how long do I have to heat these little suckers, like a minute, 30 seconds? This is going to take forever. Well, the max is about 7-9 seconds. (I actually ready the little manual) They say to heat each roller from anywhere from 4-9 seconds, depending on hair texture, then while you roll your hair into the curler, put the cover over the steam. These reminded me of the sponge rollers that I'd sleep in as a kid and then wake up with Shirley Temple hair in the morning. So I got started, it didn't take any longer than a normal set of hot rollers, and I liked the different sizes. Depending on how tight you roll you can modify the curl. At times the covers took a second to get to snap in place, and it was hard to get the larger rollers to stay up right in the front at times. They say it takes about 15-20 minutes to set, or if you touch them with a blow dryer for a minute of two you can speed that up. I just let mine cool as is. They never really got hot to the touch so it was a little skeptical. Now let me tell you, when I took these things out, wow, I was really impressed. My hair was very soft, curled beautifully, and it lasted all day, and did not look bad the next day was able to just bush out and go. These held the best, and so I decided to try them on E's hair, which does not hold curl well, its so thick and silky. It curled her bob so cute, and it held all day and had a wave the next day. She hates anything warm (I have to dry her hair on the lowest heat that's barley warm... I love a hot blow dryer on a cold morning) , and so I never can curl her hair with an iron, but these never got hot so I was able to put them in and not worry about burning her. 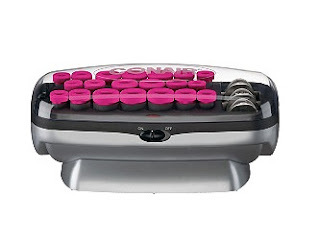 In the end, I'm sold of the 90's infomercial Caruso rollers!